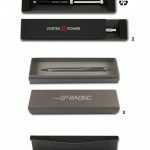 A high quality presentation box in a matt black woven effect material with a black flocked insert for one pen is available at £2.10 all quantities.. Screen printing on the box lidis available at £0.15 all quantities. 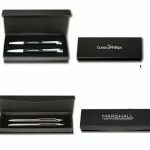 A designer style presentation box in a matt white or matt black soft feel finish with a magnetic closure and two elastic loops for one pen is available at £2.40 all quantities.. Screen printing or foil blocking in gold or silver is available on the front cover at £0.30 all quantities. All unit prices for presentation boxes exclude marking. 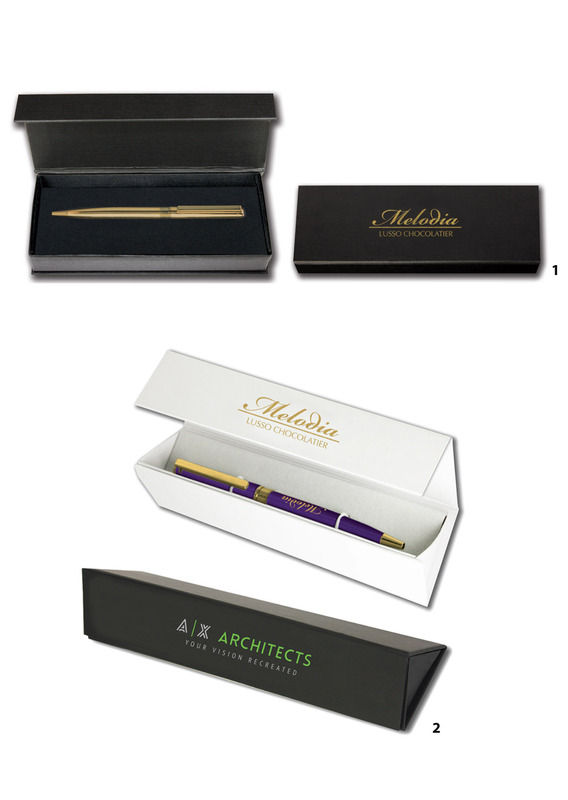 Presentation boxes will only supplied without pens to special order subject to stock quantities and availability.